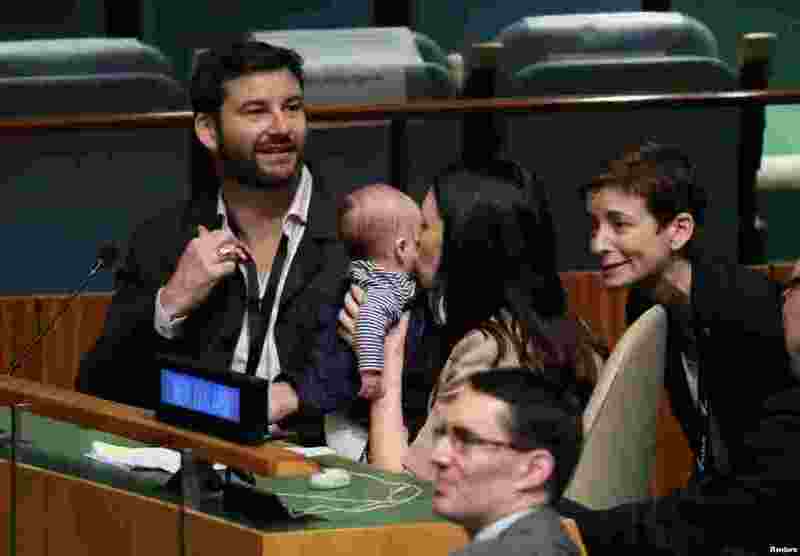 5 New Zealand Prime Minister Jacinda Ardern kisses her baby Neve before speaking at the Nelson Mandela Peace Summit during the 73rd United Nations General Assembly in New York, Sept. 24, 2018. 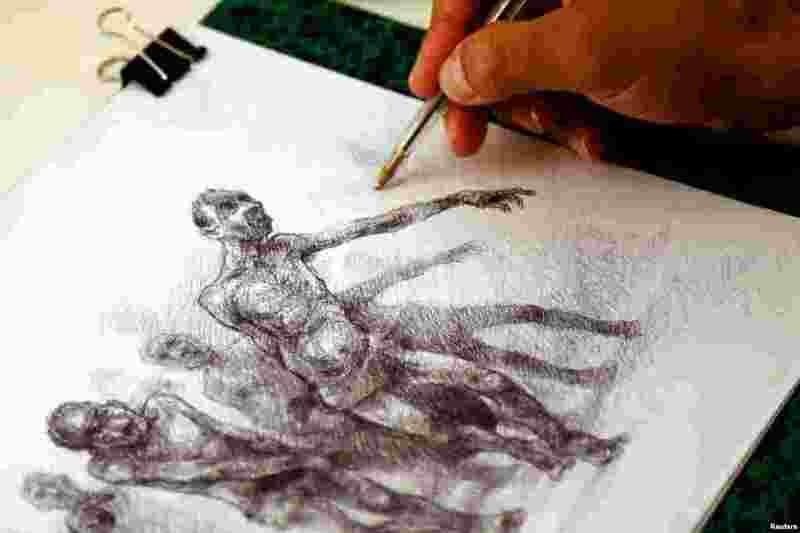 6 Exiled Syrian artist Najah al-Bukai draws a scene in Yerres, France, that stems from the haunting memories of the torture he says he endured and witnessed while twice imprisoned in Syrian government jails. 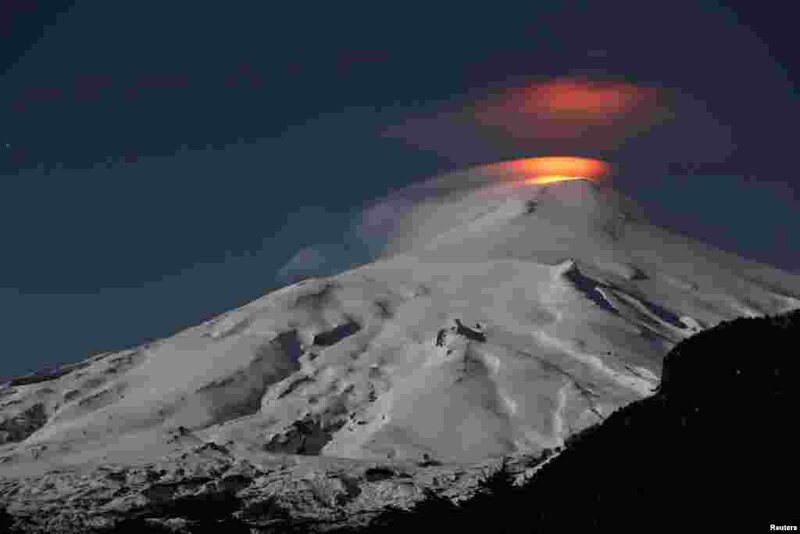 7 The Villarrica volcano is seen at night from Pucon town, Chile, Sept. 24, 2018. 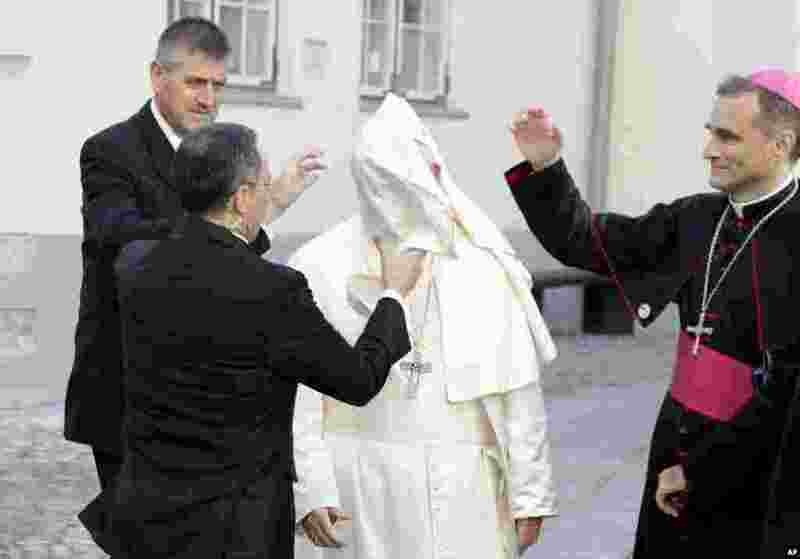 8 A gust of wind blows Pope Francis' mantle as he arrives for a meeting with people assisted by the church, at the Cathedral of Saints Peter and Paul in Tallinn, Estonia.